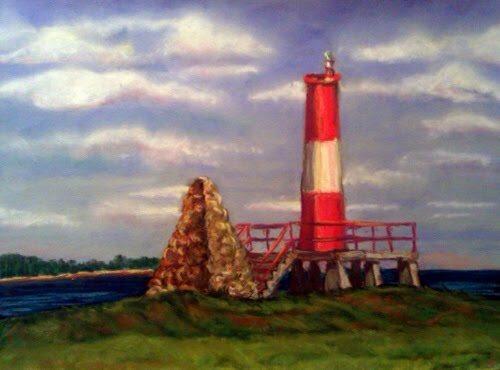 I guess you could call this part of my lighthouse series, but it can also be part of my Canadian series. This is from a reference photo I took up near our family summer home in Port Elgin, New Brunswick. It is part of the Fort Gaspareaux National Historic Site and is a small little park overlooking Baie Verte, which is a small arm of the Northumberland Strait.